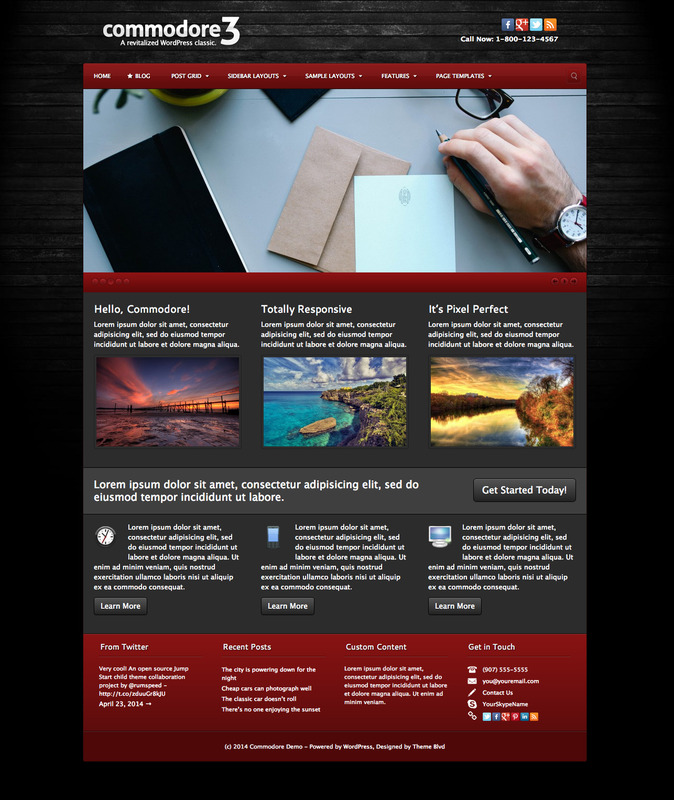 This is one of our most classic, best-selling WordPress themes. It’s a beautiful display of that glossy look that made you first fall in love with the web 2.0 revolution. 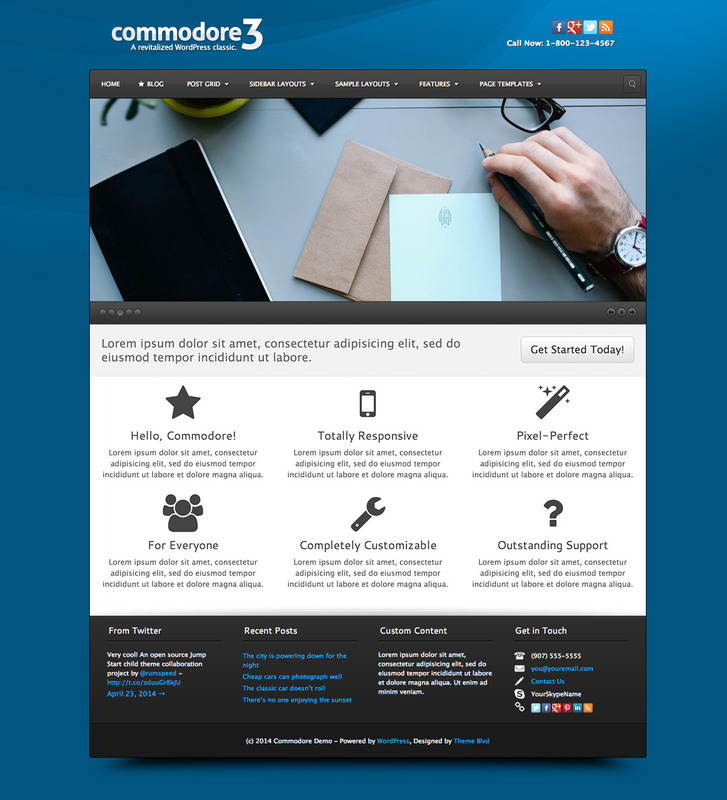 In 2014, we completely re-built the theme on our renowned, responsive framework shared with the likes of our other popular themes and Jump Start. With this came the new name, Commodore. 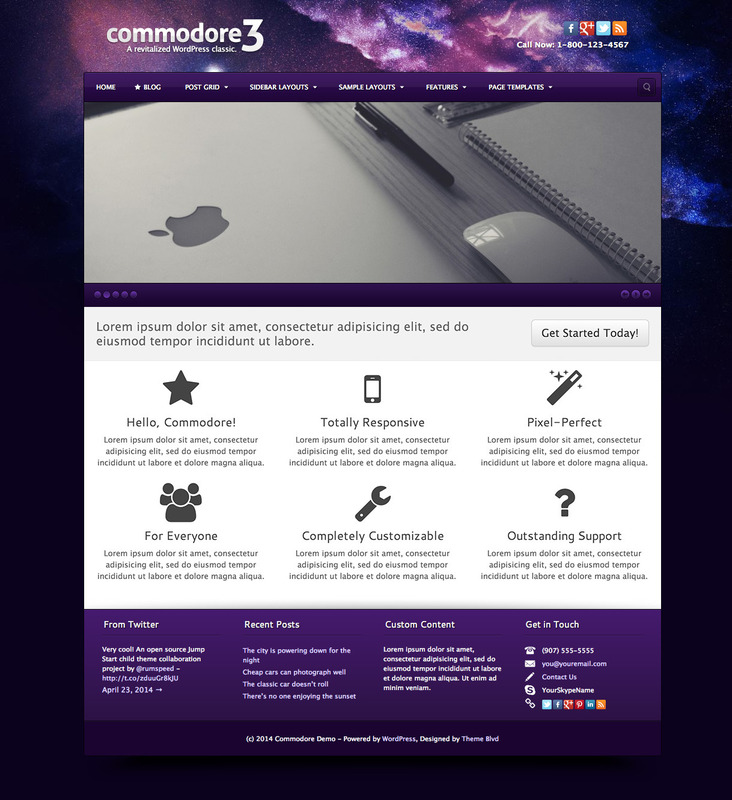 Whether your website visitors are browsing from a Retina MacBook Pro, a Retina iPad, or any of the other high-resolution devices that inevitably will come onto the market, Commodore has you covered. The theme’s stylesheets automatically check each website visiter’s device pixel-density ratio, and then serve up all of the theme’s details crafted for their specific resolution. The result is a graphically beautiful experience, no matter the device. You can choose from a light or dark style for the overall look of your website. Then, you’ve got 15 carefully, crafted color variations to choose from for your skin. 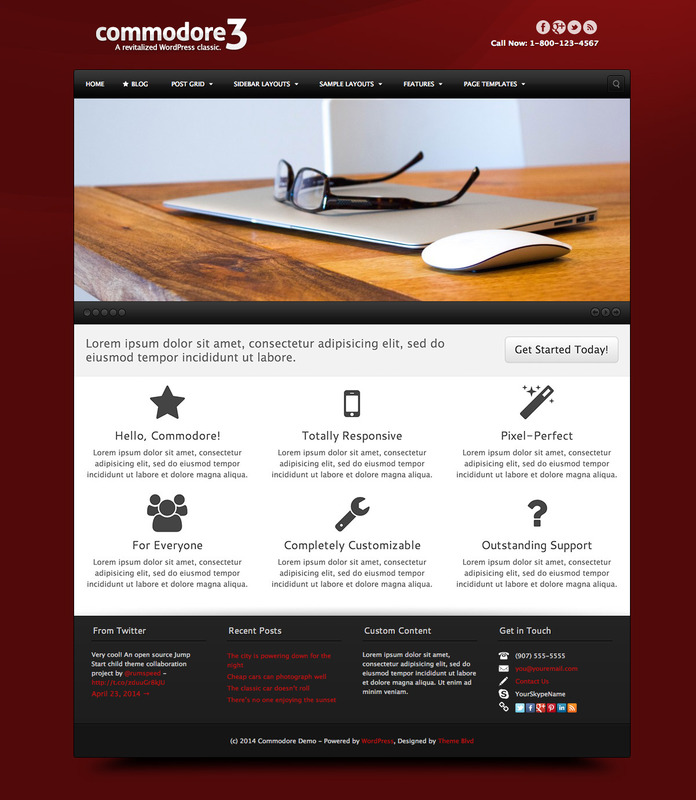 The skin option sets the color of the main menu, footer, and overall wrapping design. Next, you can top everything off with your background selection. Select from the theme’s elegant 60 background presets. Or, looking for something custom? The theme also provides full support for WordPress’s custom background setup. Anything you do there will override the theme’s background options. In addition, you also have control over your typography. You can select any color for your website links. And since your footer’s background color is determined by the skin, you can also select a separate color for links within the footer. Also, you can select custom fonts for you website’s text. Pick from our web-safe presets, or input any font that exists in the Google Font Directory. Go to the Templates page and create a new custom layout. 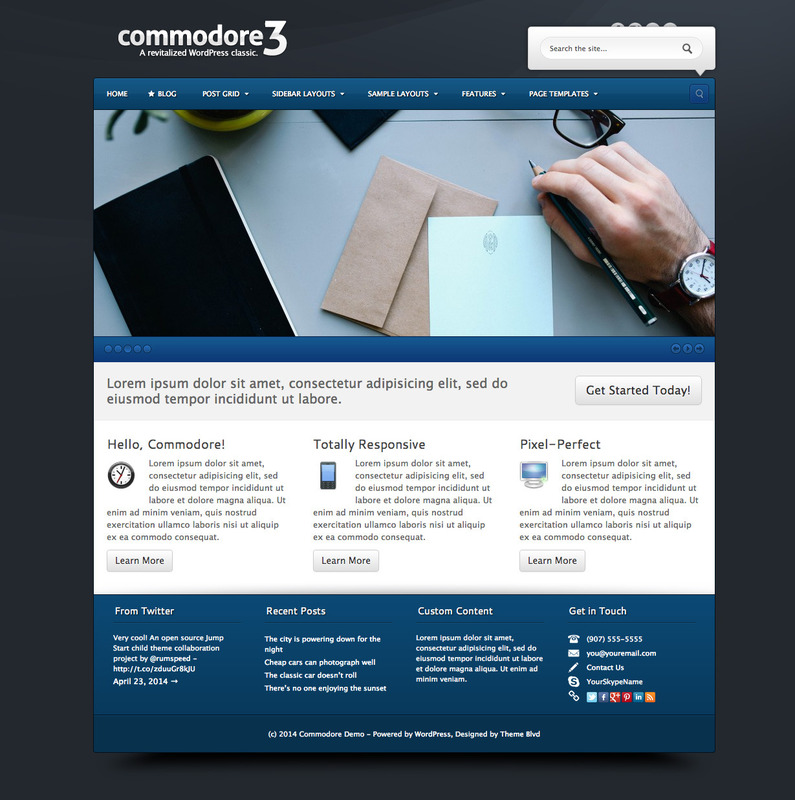 Select to “Start from Sample Layout” and use “Commodore Homepage” as your template’s starting point. Configure your element settings. This includes selecting your custom slider in the slider element. Then, save the template. 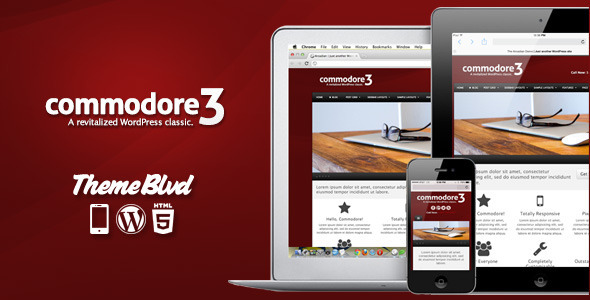 3.0.0 – May 6, 2014 – Completely re-built, name changed to Commodore.